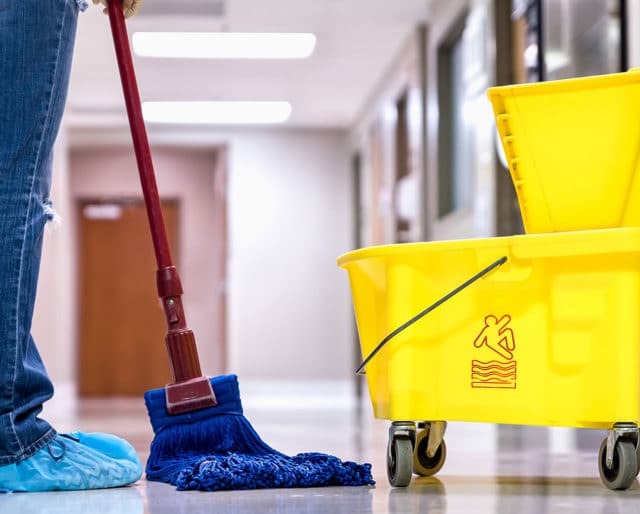 Otherwise known as “National Custodial Worker’s Recognition Day”, October 2 is dedicated to recognizing the hard work that it takes to keep our public facilities in tip-top shape. Without custodians, there’s a good chance our schools and office buildings would look like a hot mess. Custodians have the difficult task of making sure that our buildings are properly maintained and cleaned–which is no small endeavor! On National Custodian Day, make it a point to show your appreciation for all of the hard work custodians do on a daily basis. Thanks to Hubert Cecil Booth, vacuums as we know them started to become available. The Industrial Revolution took off and created a massive number of factories. Custodians are hired to help clean these factories. Bake a cake, grab a gift card, or simply write a thank you note in order to show the custodians in your life that you care. Everyone likes to receive acknowledgment of a job well done, and a little extra sweet treat thrown into the mix doesn't hurt either. It might not be your job to maintain public facilities, but that doesn't mean that there aren't other spaces that you are responsible for cleaning. Channel your inner custodian by making sure that your living spaces are well groomed and left in mint condition. Send out an email blast inviting your coworkers to help you celebrate National Custodian Day. Ask everyone who signs up to commit to making a dish. Bonus points if you are able to keep the festivities a surprise from the custodians until they walk into the potluck party! The company, Forpow, has released a UV light that attaches to the underside of your toilet lid in order to keep things sterilized after every use. ​Can my dorm have a dishwasher? The Lenspen SideKick uses a unique cleaning blend to effortlessly wipe away the fingerprints that are all over your favorite touchscreens. Being a custodian can often be a thankless job, so that's why it's important to take the time to show your appreciation to the custodians you know on National Custodian Day. We get to reap the benefits of custodians' hard work on a nearly daily basis, so it's about time we thank them for all that they do. On a typical day, we may not notice if we accidentally throw a paper towel on the floor or leave a plastic water bottle behind on a table, but that changes on National Custodian Day. When we stop and remember that someone has to come and clean up after the mess we make, there's a good chance we'll all put forth a little extra effort to tidy up after ourselves. Having a restroom stocked with soap and toilet paper may be something that is taken for granted on a daily basis, but National Custodian Day makes us stop and appreciate these little details. The next time you walk through the office and notice that the ground isn't littered with staples and small scraps of paper, remember that a custodian was there taking care of the mess for you.